As a little girl, Cinderella was my favorite princess. She was beautiful, kind, could talk to birds and had excellent taste in shoes. I loved Disney's Maleficent and so I was extremely excited to preview Cinderella. I'm talking way more excited than my 7 year old daughter. 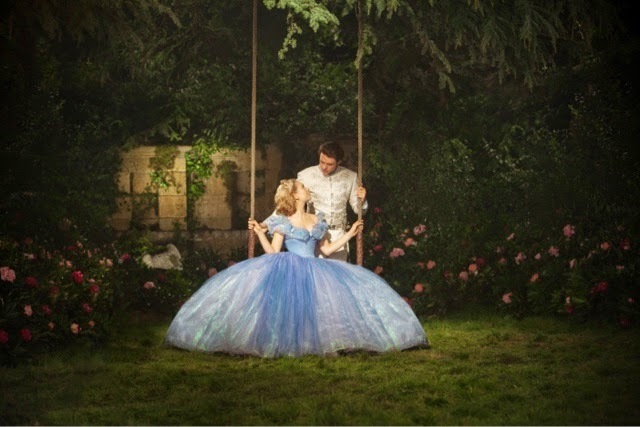 I even made her wear blue, like me, so that we could match Cinderella's gorgeous ball gown. For little ones, the 1 hour and 45 minute running time may be a little long but there are no scary scenes that would cause worry in the PG rated film. As an added bonus, Disney's Frozen Fever - a short starring Anna and Elsa - previews the movie. The inevitable deaths of Cinderella's parents had me in tears, but most of the movie was cheerful and romantic which had me smiling from ear to ear. My daughter loved it as well as she spent most of the movie leaning forward, enraptured by the story. I liked that the narrator pointed out that perhaps it was just as well that Cinderella's stepsisters were so cruel because it drove Cinderella into the woods and it's there where she meets the Prince. The message of seeing the good in the bad goes hand and hand with the mantra of the movie: Have Courage and Be Kind. 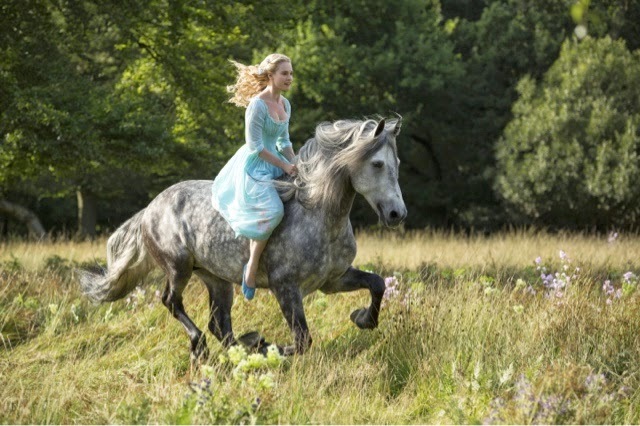 The reimagined story doesn't stray much from the original plot, but the same cannot be said for the updated Cinderella. She is less of a victim and while still the embodiment of good, she is so much more. Not only is she intelligent, she is confident and courageous; a very worthy heroine to inspire our daughters. Her Prince also gets an update and a more developed backstory. The entire cast was amazing! I especially enjoyed the performances by Helena Bonham Carter as the mildly ditzy Fairy Godmother and Cate Blanchett as the beautiful, but seriously evil stepmother. Lily James (Downton Abbey) was wonderful as Cinderella and Richard Madden (Game of Thrones) was perfect as her Prince. Thank you to our sponsor for the complimentary tickets.